It’s Arts Week and Fourth Class are having the best time meeting lots of visitors and taking part in workshops. 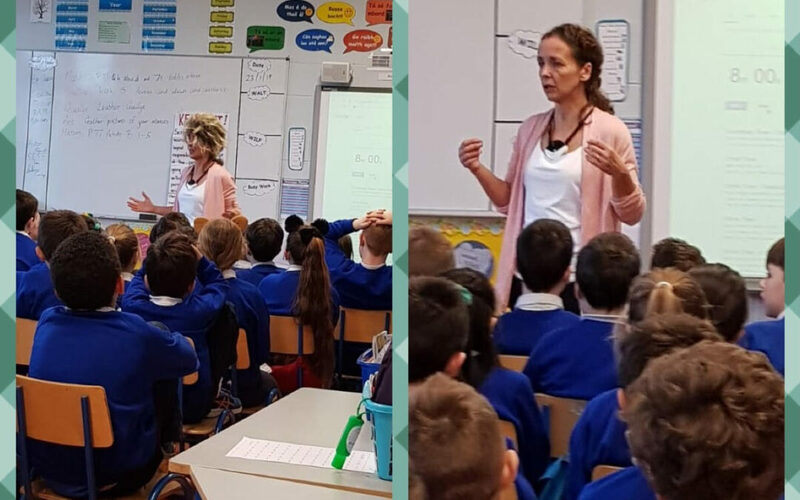 We were so lucky to get to listen to the wonderful story telling by Geraldine Meade. We also created an amazing art piece withToodleloo. They helped us see the damage pollution is having on the sea and the animals that live within it.